Most people hardly ever think about their voice . . . but that needs to change Why? 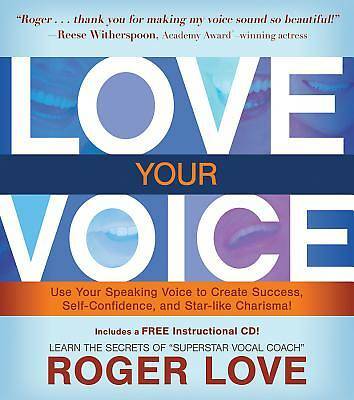 Because if your speaking voice actually sounded better, you could dramatically improve the quality of your life. Internationally renowned vocal coach Roger Love has proven that thousands of times over the years with some of the most famous and successful people in the world. He says, "Life is all about communication . . . the things you say to yourself and others. You can talk to yourself without making a sound, but when other people come into the picture, you eventually have to open your mouth and let sound come out. That's where I come in. I want to help you learn what sounds are working for and against you."